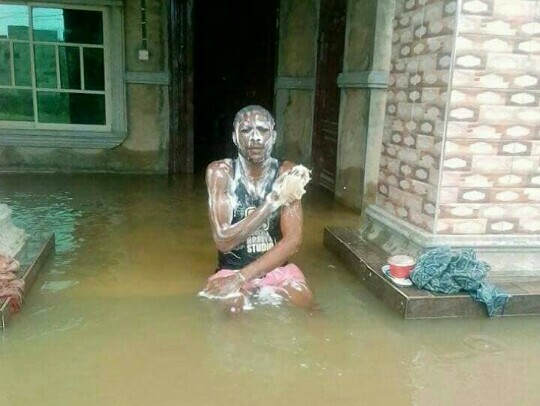 No matter how hard/difficult the situation is, Nigerians must always find humour in it. A Nigerian man decided to make fun after his house was overtaken by flood as "he can't kill him". 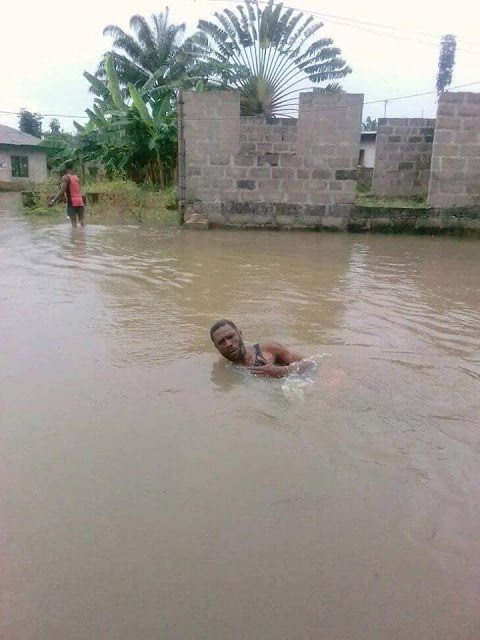 The young man shared pictures which appear to show him bathing and also swimming in the massive flood. 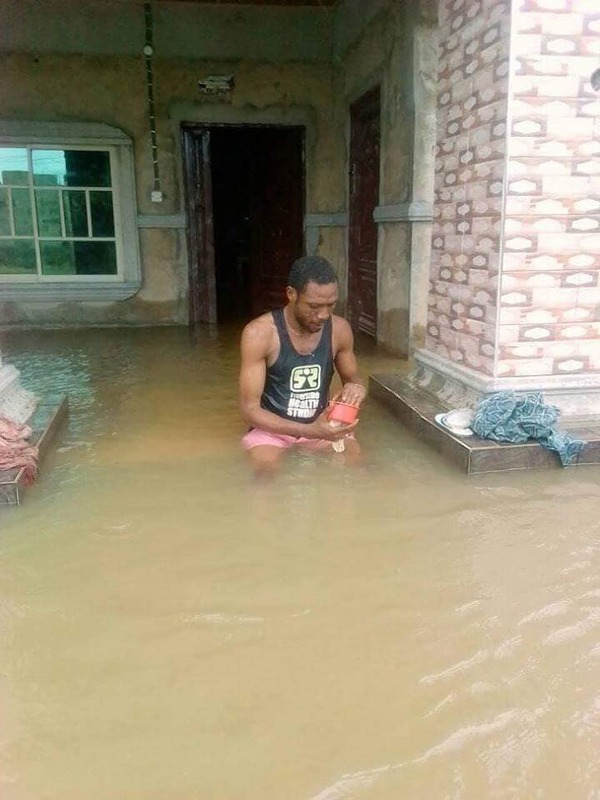 Meanwhile, the National Emergency Management Agency on Monday said that about 441,251 people have been affected by flood in about 50 Local Government Areas. 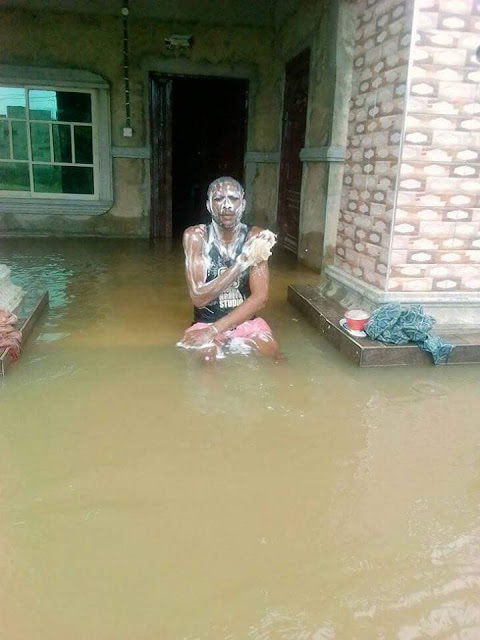 It said about 192 people have sustained injuries as a result of the flood with a total of 108 lives lost to the disaster.